I liked the first season, I didn't love it but I thought there was a lot of potential. I was completely let down by the second season, it was just boring. The third season however has been amazing! It is filling the tension gap until Breaking Bad returns later in the year. It has had me gasping and watching through my fingers on many occasions this season. I also love watching Talking Dead afterwards and seeing interviews with celebrity fans of the show and cast and crew members. 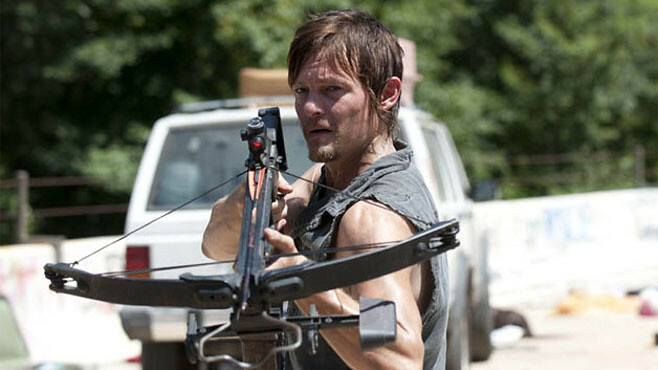 Daryl has to be my favourite character, isn't he every girls favourite? I started watching Girls before all the hype/controversy on a whim. Donnacha and I have found it very hit and miss and it's hard to pinpoint why. One thing I noticed and Donnacha agreed was that all of the female characters on the show are stereotyped to a certain degree whereas the male characters aren't and that bugs me. 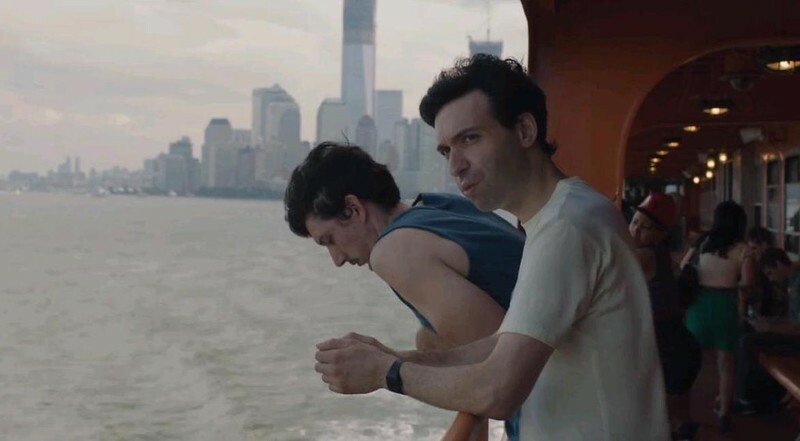 I like Adam and Ray best and I don't have any major issues with the other characters except I cannot get over why Zosia Mamet's character talks like something out of an Amy Poehler sketch on SNL. I don't love it or find it as amazing as people are making it out to be but there is something that keeps drawing me back every week. Enlightened. I cannot recommend this show highly enough. It's on HBO as well as Girls and if you had to pick one to watch, this is the winner by far. Although it's just finished it's second and possibly final season it just blew me away. I am a huge Laura Dern fan so when I saw she was in this I immediately wanted to see it. It's written/created by and stars both Laura Dern and Mike White (who also wrote some Dawson's Creek, some Freaks and Geeks, Dead Man on Campus, School of Rock and The Good Girl etc.). Luke Wilson, Diane ladd (Laura Dern's real life mother), Timm Sharp (Marshall from Undeclared), and Dermot Mulroney are all in it too as well as lots of other familiar faces. That's all I'm going to say because I would love you all to watch it. Two stand out episodes are the ones centred on Diane Ladd's character and Luke Wilson's character. It's the most unique and original television I have seen in a very long time. Donnacha and I have been re-watching this in the evenings. It is the cutest/weirdest show about Brendon Small and his friends Melissa and Jason and the movies they make together. Jon Benjamin of Archer and Bob's Burger's fame (one of it's creators Loren Bouchard also created Bob's Burgers) does a few of the voices. It's seriously hilarious. 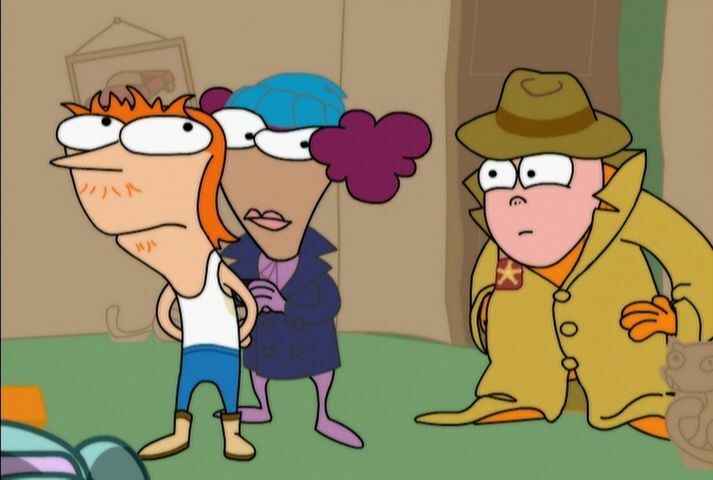 Jason and Coach McGuirk are my favourite main characters but I also love the weirdos Walter and Perry. This won't be for everyone but the subtle humour is amazing. Have you seen any of these shows? What do you think of them? What are you watching at the moment? Do you have any recommendations? Check out my last Five post here. I have to admit I'm a huge Dawson fan...sorry :) My husband claims you could launch a rocket off his admittedly rather large forehead but as far as I'm concerned it's just more of him to love :) I kind of agree with you about Girls but despite its flaws I love it. Though Zosia's character is like so annoying! I think I like the storylines and the issues between the characters more than the characters themselves. I've never heard of Enlightened but that's going on my to watch list! Hah, I have to agree with your husband on that one! My friend and I actually always joke that my boyfriend is Dawson because he makes films and he's a "nice guy". Yeah Girls is a weird one, I love the episodes that have a little bit from all of the characters rather than the ones focused solely on Hannah. I do look forward to it every week though and to seeing what they do next. Let me know what you think of Enlightened if you watch it! Hi, Emma! I didn't get around to watching The Walking Dead just yet but I will make a point of starting on it soon. I watched Dawson's for a season or two first run. More recently I loved the new sitcom The B in Apt. 23 co-starring James VDB and was very upset when I learned it was canceled. I was also a big fan of Freaks and Geeks which you mentioned in the text. Have a wonderful Thursday, dear friend Emma! Oh Tom I think you would love The Walking dead, despite some iffy episodes if you stick with it it just gets better! I only watched one episode of The B and it seemed promising, I was actually quite surprised to hear it was cancelled! Poor James Van der beek can't catch a break! Freaks and Geeks is one in a million, I'll never get tired of re-watching it! omg! why have i never heard of enlightened?! laura dern + luke wilson?! i have to watch this! thanks for posting about it! I LOVE Portlandia! I'm a bit behind on this season but it's so good! Fred Armisen is so so funny! I love that kyle MacLachlan is the mayor and all the guest stars and musicians that are in it too! 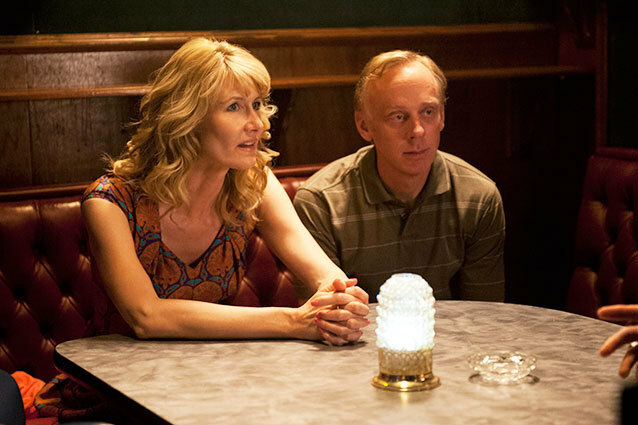 I really hope you watch Enlightened, let me know what you think if you do, as far as I'm concerned Laura Dern can do no wrong! I have been feeling like it might be time to do a Dawson's Creek revival for the hell of it this summer and Enlightened sounds great, I'd never heard of it!